The FlexScan series, which has long been a fixture in financial institutions, is equipped with features to make it easier to spend long hours trading and handle multiple types of data. For example, they feature a frameless design that minimizes eye movement with multiple monitors, and a product design that allows you to work comfortably by reducing screen brightness, screen reflection, and flicker. In addition, the FlexScan EV series provides free dedicated software convenient for busy traders and equipment administrators who manage large numbers of monitors. Control the settings of multiple monitors with Screen InStyle software. Turn on/off the power of multiple monitors at the touch of a button and save energy while extending the service life of the monitors. Also, you can change the monitor display settings such as brightness and color mode all at once, saving you the trouble of adjusting them individually. 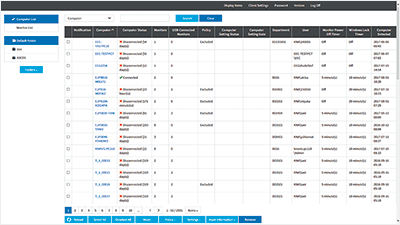 Screen InStyle Server is remote management software for asset management of monitors and PCs. View information about Screen InStyle compatible monitors on the network and display it on a Web browser, and register PC property information. Import and export PC and monitor asset information as an Excel file. In addition, centrally manage the power supply settings of monitors and the PCs to conserve power in the office. To ensure each FlexScan monitor meets our high standards, we develop, manufacture, and test them ourselves at our own facilities. 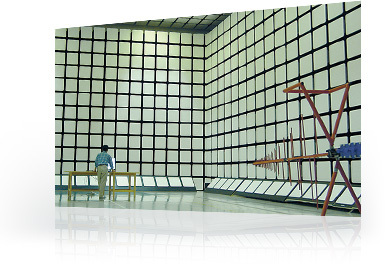 Our quality control process includes long-life testing where monitors are left on for tens of thousands of hours and we have an on-site anechoic chamber to test for compliance with international EMC (electromagnetic compatibility) regulations. FlexScan monitors are equipped with features that help traders work long hours if necessary while keeping eye fatigue to a minimum. For example, non-glare panels that reduce light reflection, wide viewing angles so the screen contents can be clearly read even when viewing the screen at an angle, thin bezels for almost seamless viewing, and internal circuitry that prevents flickering and noise on the screen. Our dedication to designing, manufacturing, and testing our monitors allows us to be confident enough in their reliability that we can offer the industry's only 5-year manufacturer's warranty. Furthermore, our global reach of subsidiaries and exclusive distributors are dedicated to providing professional after service.